Four days after a momi blogger invited me to join the Grand Food Tasting at the Felicidad Mansion, I brought my family there to have our lunch. And as usual, they were ecstatic. Going outside the house to eat out made them all giddy as we seldom do that. We ate at Cafe Taverna which occupies a small portion of the mansion. My mom instantly fell for the place. She loved the spacious garden and the impressive structure. She admired the intricately carved woodworks and even commended the elegant setting of each dining table. She instantly felt at home.The boys, on the other hand, checked on the menu and hurriedly ordered for their choice meal. They were that excited as it was their first time to dine in a mansion turned into a cafe. 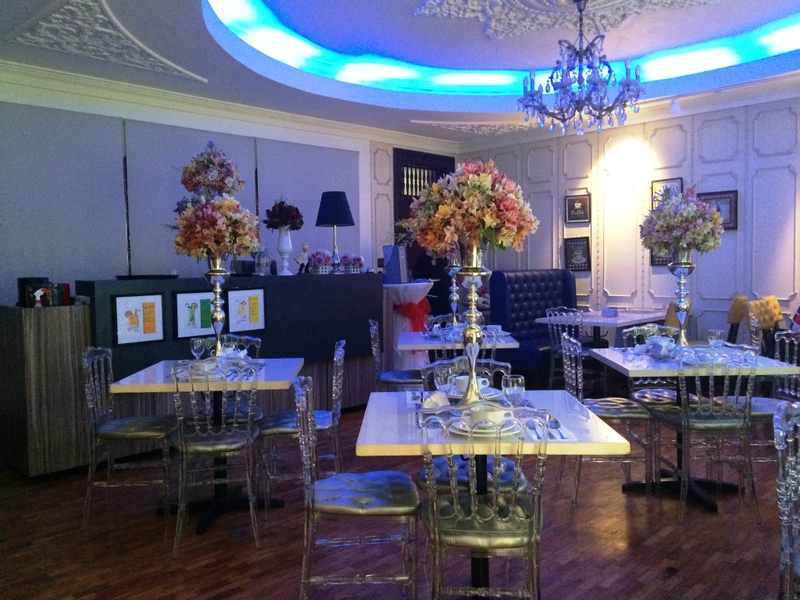 Chic and elegant are the adjectives best to describe Cafe Taverna inside the Felicidad Mansion. Our dining experience was nothing fancy but fine. The serving was quite slow and the food attendant that got our orders seemed new. The food, though, was sumptuous. The serving portion was generous; we took home some leftovers. Cafe Taverna is being managed by Rina Rosanna Aniag. 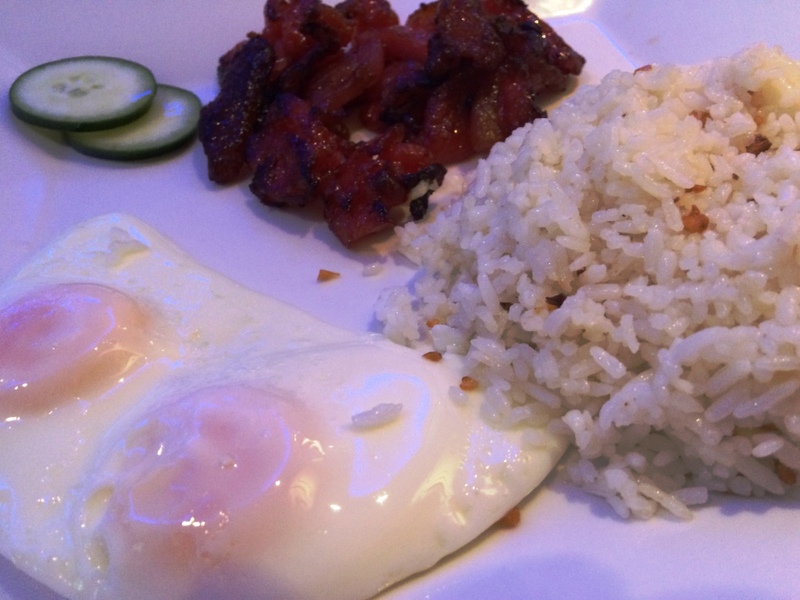 For Rina, food has always been the main thing Filipinos share. Her love for food started when her great grandmother would serve delectable meals on their dining table. Her grandmother was no exception and it was at the time of her mother in 1981 when they opened Bahay na Tisa in Malolos Bulacan. The quaint restaurant then occupied the first floor of the Carsi Cruz summer house. It was made of bricks and had a tiled roof which locals refer to as Bahay na Tisa. Years after, the family decided to construct a new place for the same restaurant which is just across the street. Rina vividly recalled how her mom would taste each dish and enhance the flavor. Now, she manages the restaurant in Malolos alongside other operations providing food and beverage services. Very timely then that her sister-in-law was head chef at Felicidad Mansion and offered her to do catering for the events place. An opportunity to open a cafe within the mansion was put into place and soon they introduced Cafe Taverna, the mansion’s official in-house coffee shop. Aside from managing the Cafe Taverna in Felicidad Mansion and Bahay na Tisa in Bulacan, she is also hands on in their catering business- Taverna Catering. She and her team were able to cater as far as Baguio and Cabanatuan and as plenty as 10,000 persons in one venue when then President Joseph Estrada celebrated his birthday. Aside from being fascinated with food, she also loves styling which is very evident on every table set-up of any Taverna-catered event. Asked if she feels pressured – the fourth generation to continue the legacy of the family on the love for food – she shared that the pressure will always be there and it is good because it raises the standard of their cooking and services. The pressure all the more brings new innovation. 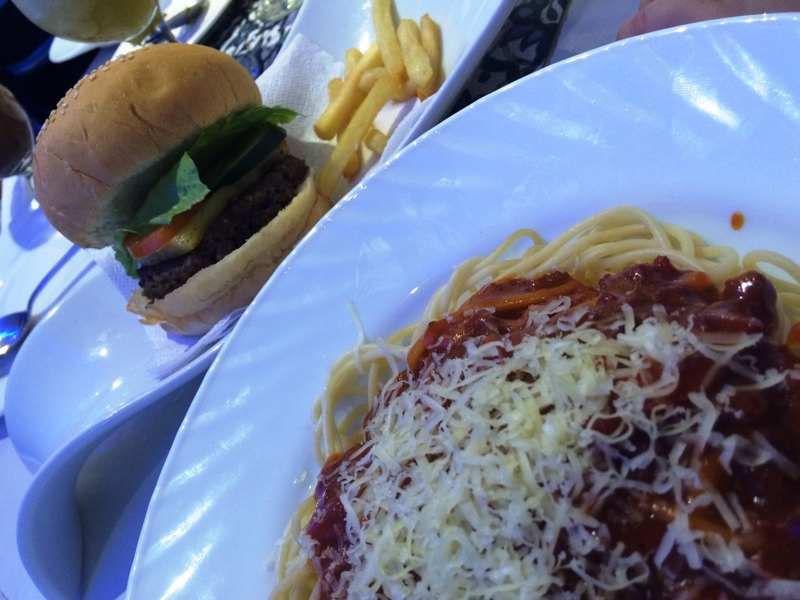 Cafe Taverna offers International cuisine from Spanish to Japanese and Mediterranean. And I attest to the quality of the dishes. They are simply superb. They exceeded my family’s’ expectations in terms of taste. They might also exceed yours. * Disclaimer: Momi Berlin was not provided with gift card or any compensation to facilitate this recommendation. All opinions expressed are strictly her own and not influenced in any way. What a beautiful setting for a restaurant. Those are just the kinds of places I like to visit. A former mansion? That’s really interesting. The food looks great and it’s affordable! I think it’s great that you enjoyed the food. Sorry about the slow service though. What a beautiful restaurant. I would love to visit it! Thank you for sharing it! The decor is gorgeous and the food looks tasty! It looks like you had a great time! Great recommendation. The food looks simply amazing! This looks like such a fabulous place to stay! Beautiful and that food looks amazing. That restaurant is very stylish. I love the decor. All the food are mouthwatering. oh man all of this looks amazing. i had KFC for dinner, can i trade? Wow! These foods look so tempting! I want to go there too and indulge! This post got me craving for Pancit Sotanghon at this ungodly hour! The interior looks lavish and I’m surprised how affordable the food were. At first I really though it’l be an expensive restaurant. That really is a chic and elegant place to eat. The food looks so tasty and amazing and I bet I’d love it. What a beautiful place to have dinner. The decor in the room looks spectaclar! it is spectacular especially to the eyes of the kids. Tried the paella and loved it. I also love to cook something Spanish. If cooking Spanish sardines counts, then I was able to cook na pala 🙂 ihihih. That is a very nice table setting. Love how simple and bright it is and so elegant. Food looks really well put together and plated too. How fun! Yes, they have such elegant setting. Food isnt that bad as well. They are delicious. What a very elegant restaurant. Great place for a romantic date.